The latest version of the Kaymont model 2000 is a low cost, high accuracy alternative to RH calibrations that use chilled mirror or 2-pressure systems, and is faster than procedures using saturated salts. 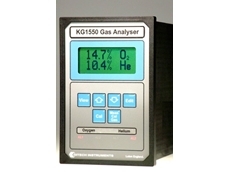 The Kaymont model 2000 system, available from AMS Instrumentation and Calibration , incorporates advanced electronics and innovative approaches resulting in an improvement in performance and reliability. 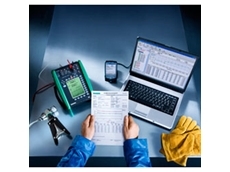 The system design provides a capability to perform calibrations of chart recorders with remote probes or do a simultaneous linearity test of multiple data loggers. 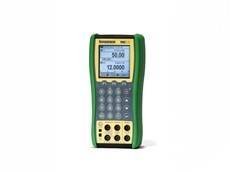 The model 2000 can also be used for a fast assessment of dew point instruments. Unlike larger systems, the model 2000 reaches equilibrium within minutes, thus enabling a full range calibration in much shorter times. The flexibility of the system gives laboratories a means for continuous calibration while larger systems are being used for other tasks requiring extended calibration times. The model 2000 measures and controls RH directly. This eliminates the need for any conversions or computations that often lead to additional errors. 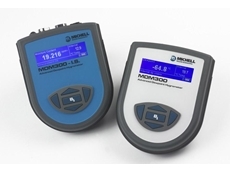 In general, the model 2000 humidity calibrator will generate chamber conditions for accurate and repeatable calibration of instruments, probes, recorders and data loggers. 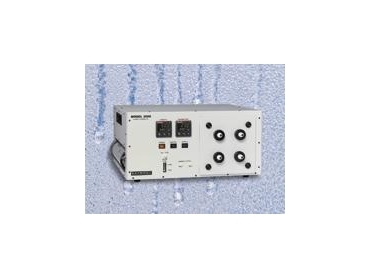 The system produces proper humidity values by continuously monitoring chamber conditions with an accurate internal probe. The probe measures both the RH and temperature then sends this information back to microprocessor based controllers. Internally there are 2 pumps connected to a closed-loop system, one pump for dry air and the second for wet-air. The controllers call for wet or dry air and the pumps respond accordingly. This results in a precise fast response for chamber stability. A high volume turbo-axial fan inside the chamber gives the uniformity of RH and temperature.